Classic Team Lotus was out in full force at this years Autosport International Show held at the NEC in Birmingham England. For those not familiar with Classic Team Lotus, the organization is managed by Lotus founder Colin Chapman’s son Clive Chapman and was established in 1992 by Lotus , to take care of the Works historic motorsport activity. Classic Team Lotus continues to maintain and operate historic Lotus F1 cars for owners around the world from their workshops at Hethel opposite the main Lotus car factory. In addition to race car restoration and maintenance, Classic Team Lotus also offers an extensive range of pretty cool collectables and Classic Team Lotus clothing and accessories. One of the highlights for me of the Classic Team Lotus display was the Prototype Lotus 12, a 1957 Formula 2 car carrying chassis number 301. 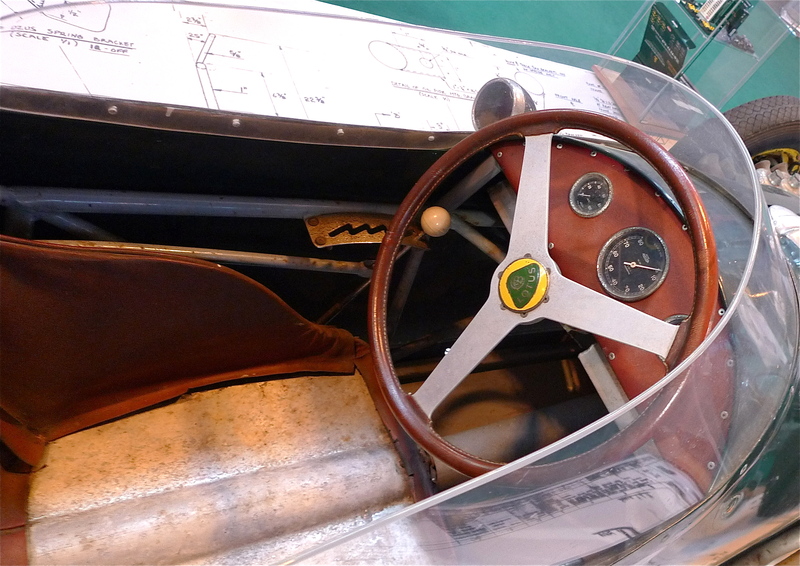 This was the first Team Lotus Single Seater race car and was originally displayed at the 1956 Motor Show. 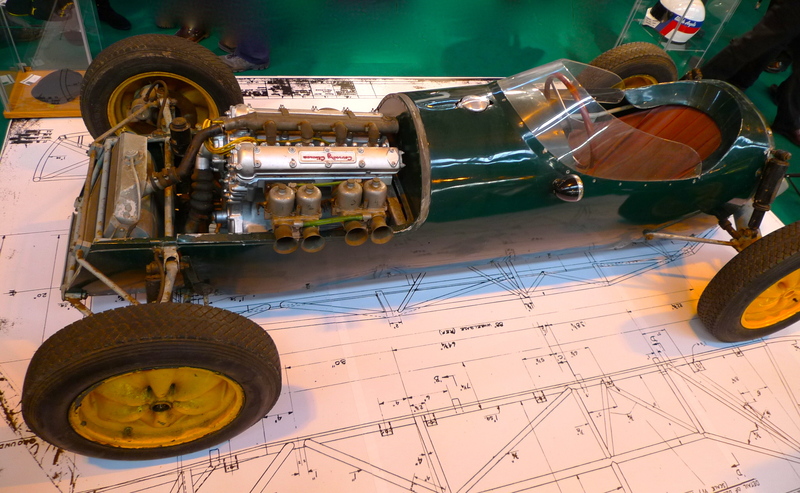 “301” was fitted with a 1.5 L Coventry Climax FPF engine and was designed with minimum weight and drag in mind. This significant car has been in storage for many years and aside from the 56 years of age, it is exactly as Colin Chapman first displayed it. Standing next to the car allows you to see how simple these early racers were. The 5 inch wide tires mounted on 15 inch iconic “wobbly web” wheels provided adequate traction for the period and the sparse cockpit with only a tachometer, oil pressure and water temperature gauge gave the driver all the information they needed to win. Minimal Instruments in the early Lotus keep the driver focused on the track. Finished in traditional British Racing Green and wearing a nice coat of dust, the car actually has the unique smell of an old car that has been locked away for years. 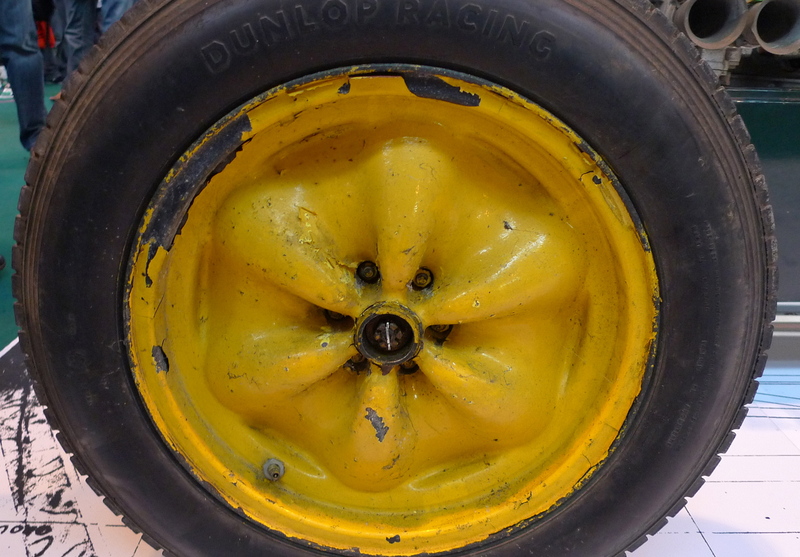 The musty fragrance of old oil and rubber is evident and almost intoxicating. 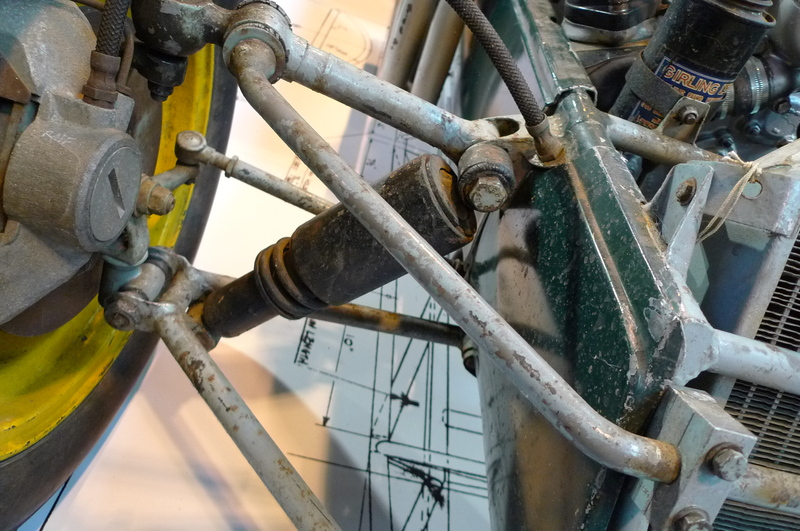 Classic Team Lotus plans to restore chassis 301 but to what extent is anyones guess at the moment. I can only hope they manage to maintain the overall weathered and worn appearance. 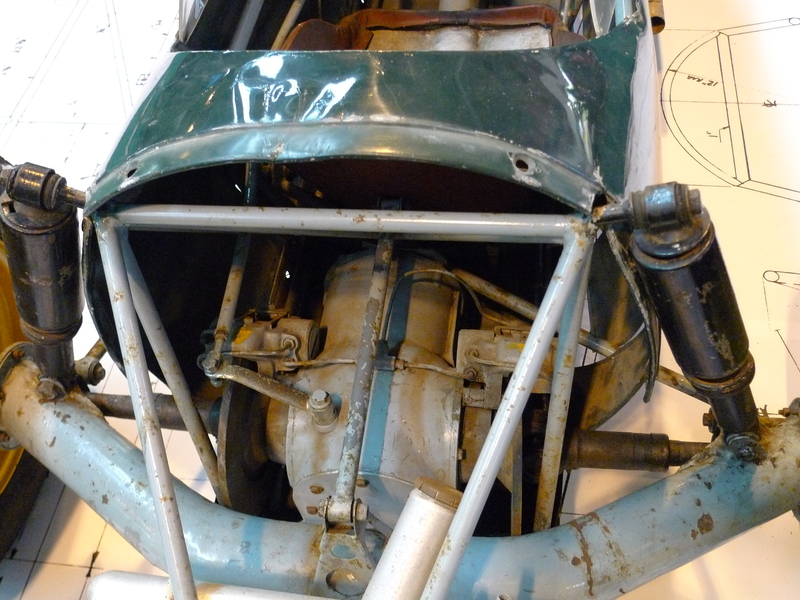 De Dion rear suspension and inboard disc brakes..advanced for the time. 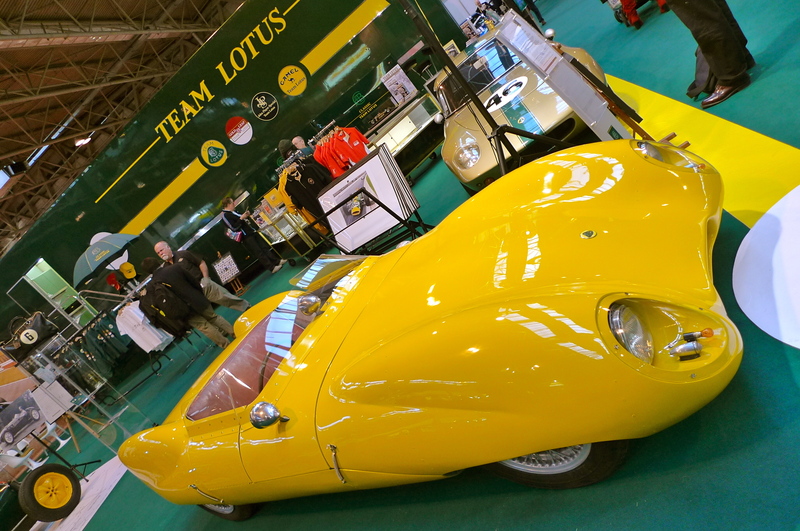 The Classic Team Lotus display attracted visitors throughout the duration of the show with an impressive collection of memorabilia and items for sale. 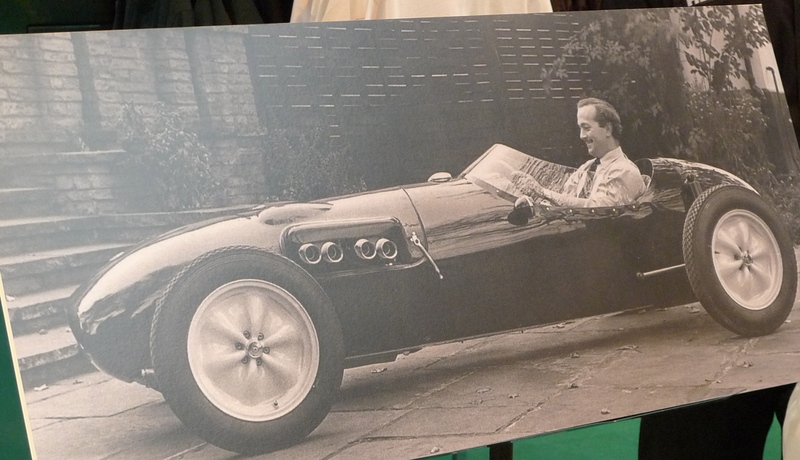 We’ll take a look at Colin Chapman’s Lotus Eleven next time. Gallery | This entry was posted in Lotus and tagged Autosport, Colin Chapman, Lotus. Bookmark the permalink.